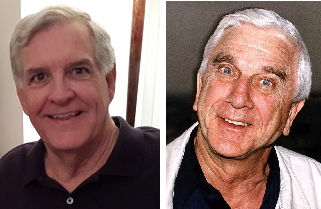 James H. Charlesworth and … Leslie Nielsen | Amazing Lookalike! On the left is James H. Charlesworth, George L. Collord Professor of New Testament Language and Literature and director of the Dead Sea Scrolls Project at Princeton Theological Seminary. On the right is Leslie Nielsen, star of the Airplane! and Naked Gun films.